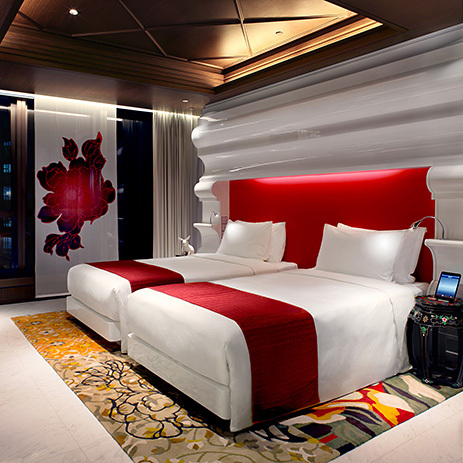 At the Mira Moon Hotel, an animal from Chinese mythology is transformed into the star of an artistic production: motifs from the legend of the Moon Goddess and her Jade Rabbit blend in with the opulent décor and modern furnishings. Bathroom mixers from the Axor Urquiola collection and Hansgrohe's Metris range were selected, fitting in with the hotel's consistent fusion of styles. 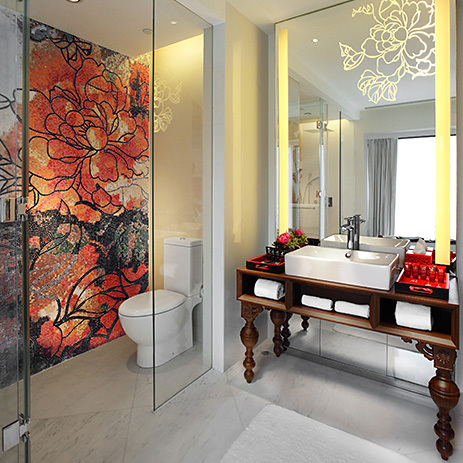 In this boutique hotel you will come across traditional craftsmanship and whimsical accessories, not to mention valuable wall mosaics. The Chinese legend theme is played out throughout the hotel. 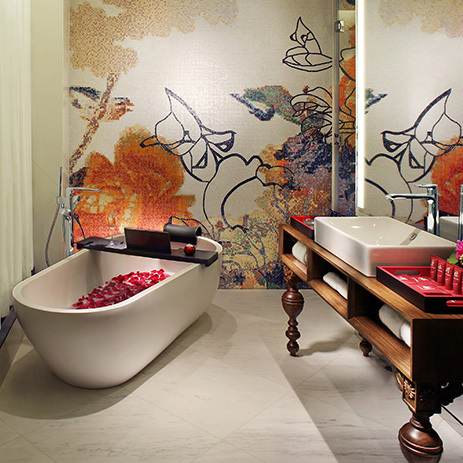 The Mira Moon reflects an international trend within the industry: the use of a recurring theme as the design principle. 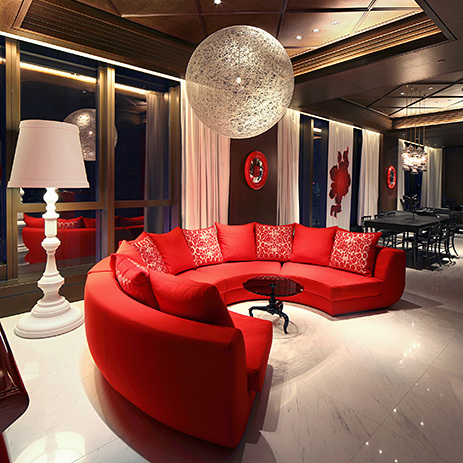 Designer Marcel Wanders, co-founder of Dutch design label moooi, came up with the interior design concept in Hong Kong. This kind of playful approach to design was what made the Dutchman famous. 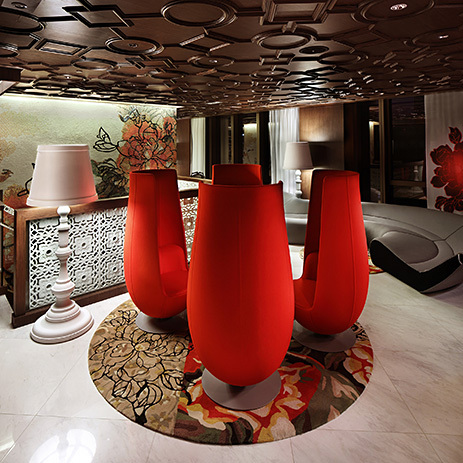 In collaboration with international design studio yoo!, Wanders created an explosive display of stylistic elements, extending from the lobby and lounge through to the 91 rooms and suites. Throughout the Mira Moon, the beloved rabbit of the Moon Goddess is featured in many different guises. 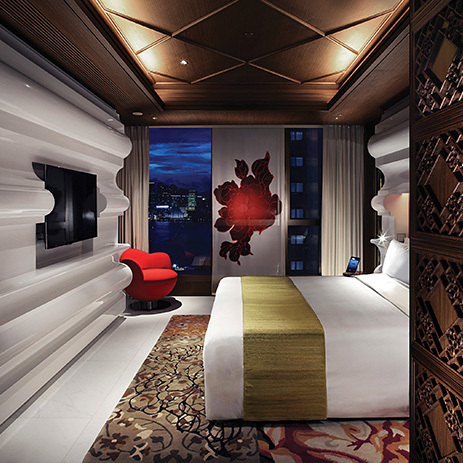 In the form of an image or floating figure, Yutu encounters opulent décor and furnishings – the products of Chinese craftsmanship. 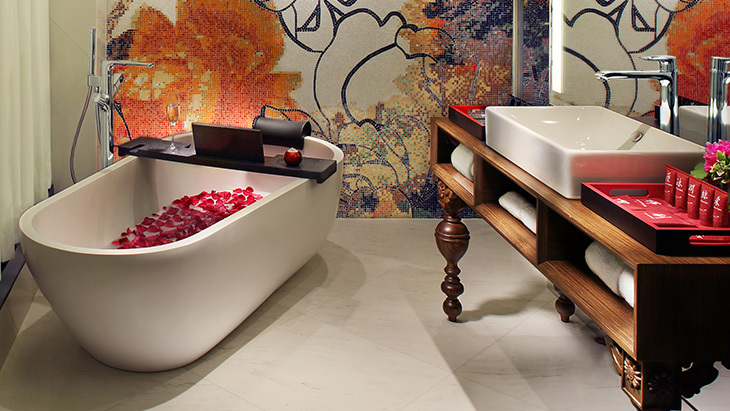 Red upholstery and wood carvings are combined with rich blossoms and whimsical accessories. Yoo! became a globally successful luxury brand in the property sector thanks to its worldwide apartments, which are furnished strictly to the design specifications. The apartments feature many items from the Axor collections. For the marble bathrooms of the Mira Moon, the designer deliberately opted for products from Hansgrohe and designer brand Axor. Thus we see the free-standing Axor Urquiola bath mixer being incorporated into the fusion of styles: the mixer gives the impression that it evolved naturally, while soft shapes make the transition into large surface areas, blending in harmoniously with the rest of the bathroom design. At the wash basins, the understated design concept of Hansgrohe's Metris range blends discreetly into the sensual ambience. The bathroom mixers from the Black Forest thus contribute significantly to the comfort and design appeal of the Mira Moon Hong Kong. Axor Urquiola fits in perfectly with the fusion of styles, while Hansgrohe Metris blends discreetly into the sensual ambience.